On Friday 25 October 2011, 40 archivists from across Australia and New Zealand attended our workshop, Drawing insight and inspiration from tradition: Digital recordkeeping and the Australian series system. Our starting point for the workshop was Peter Scott’s series system and how its original vision for archival description should be revisited to help us to contextualise and manage digital records. On the day, we were offered a powerful examination of how digital recordkeeping forces us to shift our thinking on archival description, with particular reference to Scott’s work, by Chris Hurley. 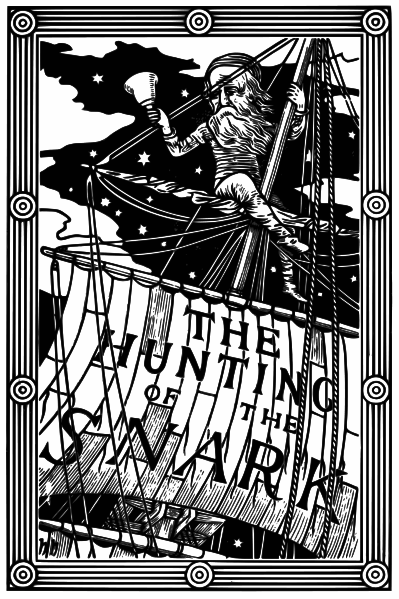 We have great pleasure in publishing Chris’s paper here: The Hunting of the Snark (Looking for Digital “Series”) (PDF, 1.3 MB). The paper is © Chris Hurley 2011 all rights reserved. This entry was posted in Post and tagged archival, description, digital, hurley, recordkeeping, scott, series, snark, system. Bookmark the permalink. Why did it take more than 130 years until someone incidentally stumbeld over Holiday’s conundrums? Simple answer: The WWW only recently increased the chance significally that someone (even not in the UK) would notice how Holiday hid elements of older paintings in his illustrations. (This is not about plagiarism in a famous book. It is about the construction of graphical conundrums which parallel Carroll’s textual cunundrums.) There you see how digital archives (e.g. sites of museums in the WWW) make discoveries possible, which were much more difficult to achieve a dozen years ago.